As a tech company, we’re encouraging ‘invented here’ AI by bringing every provider the tools and capabilities to create what algorithms are the most effective for them. 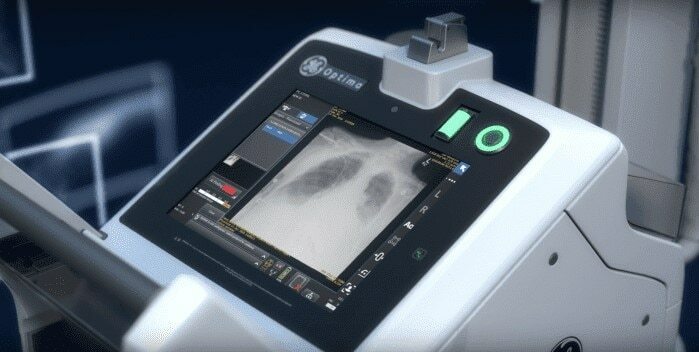 When radiologists and surgeons at the University of California, San Francisco (UCSF) Medical Center wanted to integrate AI into their x-ray machine to help identify and prioritize patients with a potentially life-threatening lung condition, they didn’t look for the flashiest, latest tech out there. They did so not because there weren’t existing options, but rather because of a belief that the most relevant and fastest AI for healthcare providers will come from those who best understand the institutions’ local needs and those who have ready and compliant access to their data – straight from the source of healthcare providers themselves. And because they could. I’m proud that Dr. Rachael Callcut and her team created their AI algorithm using Edison — GE Healthcare’s next generation intelligence platform built to connect data from millions of imaging devices to the natural workflow where healthcare decisions are made. Edison is something akin to an app store development platform for radiologists and the engineers and data scientists who they work with –– an ecosystem of tools where they can build and test the models customized and adaptable to their clinical and patient needs, but underpinned by the most holistic and integrated digital platform in healthcare (Edison combines globally diverse data from across modalities, vendors, healthcare networks and life sciences settings). GE Healthcare’s mission with Edison and its more than 100 AI developer services was to create a way for global developers to easily build safe and effective AI; dramatically accelerating the number of useful algorithms from providers across the world. Since launching, the early and fast-paced results we’re seeing from diverse institutions and departments has been encouraging. For example, AIRx, an AI-based, automated workflow tool for MRI brain scanning designed to increase consistency and productivity, and Women’s Health Ultrasound SonoCNS, which automates the process of measuring the fetal brain by aligning the system automatically. These results validate our belief that we are much better off working together – industry, government and others throughout healthcare — to promote a thriving AI ecosystem, to learn from one another, to take advantage of our open-source, open ideas world. Today we open Edison up to at least 38,000 more radiologists and their teams. We’re excited that Edison AI platform will integrate with the American College of Radiology’s AI-LAB, by enabling its members to more easily develop and seamlessly deploy their algorithms across hospitals and research centers nationally. As part of the GE Healthcare AI and innovation team, we are committed to give those who practice medicine the tools and deployment platform for organically creating safe and effective AI. It’s also the same reason we’re working with partners to establish a set of ethics principles that will govern how we all, as an industry, will responsibly create and use AI. While AI holds tremendous promise, it needs to empower, rather than overpower, over promise or over burden, the people delivering care. That’s why we are so determined on involving the community in AI development. That’s why you – yes, you, radiologist, clinician, nurse, data scientist – you can build the next AI app that saves lives. Are you in? Comment below or tag an institution, colleague, or someone who may be interested below if so.